98% of website visitors are hidden. Only 2% convert. 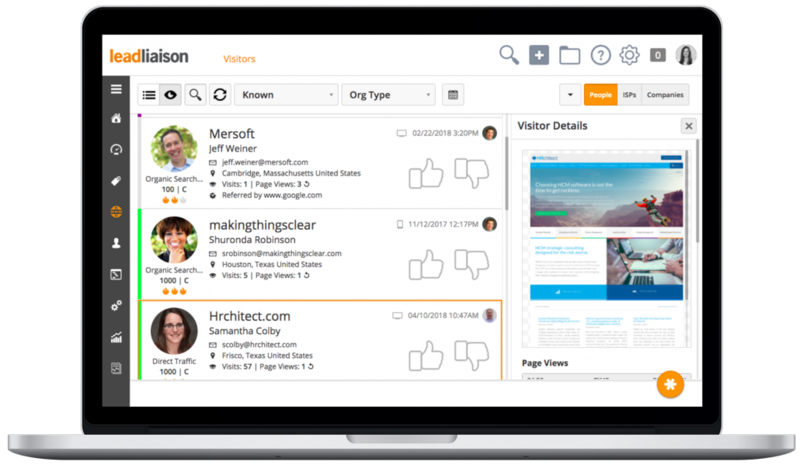 Uncover lost opportunity and gain crucial sales insight with ProspectVision™. We integrate deeply with Outlook and Google’s Gmail along with 3rd party integration. We give you a clear path to scale up to award-winning marketing automation. We make static data actionable to help your sales rep turn data into dollars. A world-class support team will be there to listen and help. Feedback doesn’t fall on deaf ears. More than just page views. Get insight into all types of online behavior. Data is pushed to you in real-time, not fetched after the fact. 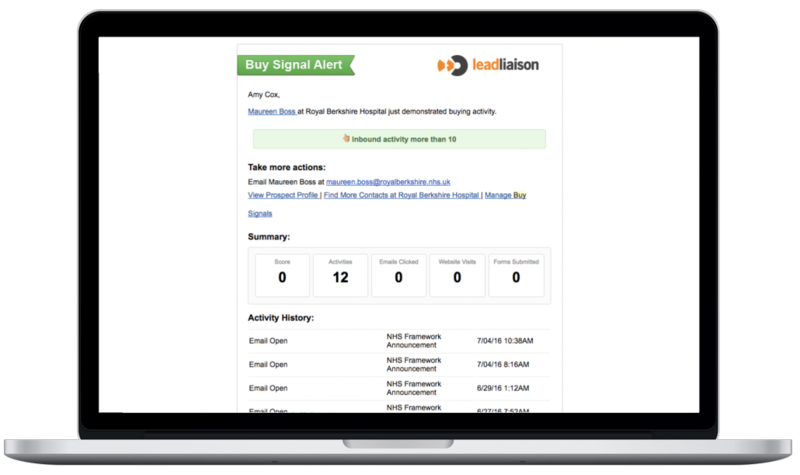 Buy Signals, Favorites Alerts, Daily Lead Reports. Reps get it all. All tracking data is consolidated and delivered inline with your view. No back and forth clicking. The sales cycle for their biggest client was one of the shortest and HRchitect credits Lead Liaison’s ProspectVision™. 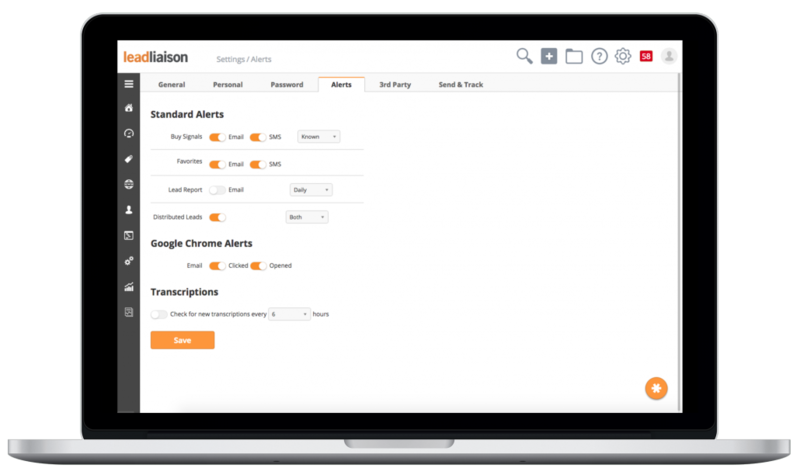 Click here to jump to a list of ProspectVision™ Features. Discover the people and companies visiting your webiste in REAL TIME! 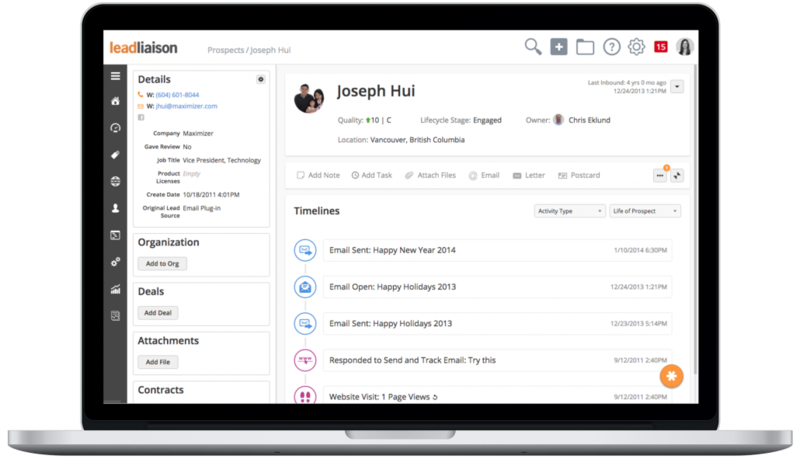 Lead Liaison’s Daily Lead Report sends data straight to a salesperson’s inbox. In addition to page views, you’ll see document downloads, video enagement, email engagement and much more, giving your sales team the crucial insight that they need to close their deals. Time your follow-up and make it stick! Along with determining precisely when the best time is for your sales team to reach out to prospects, visitor tracking can also help you design the most effective marketing campaigns possible through deeper insight on lead sources and referrals. 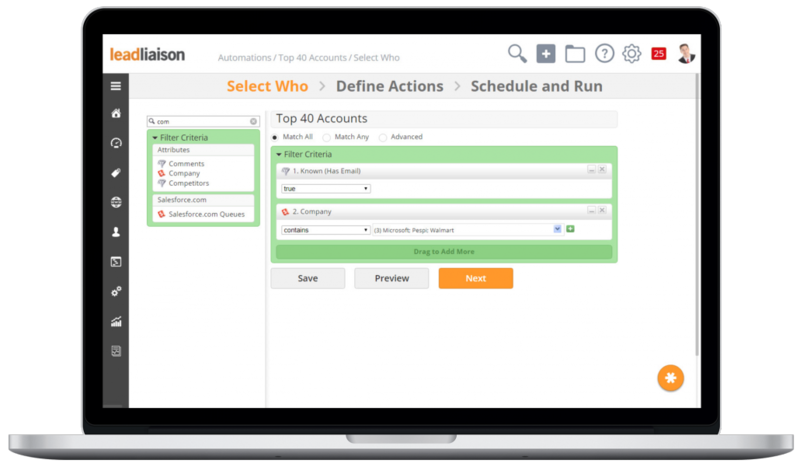 Add Sales Enablement functionality to keep everything on one platform. 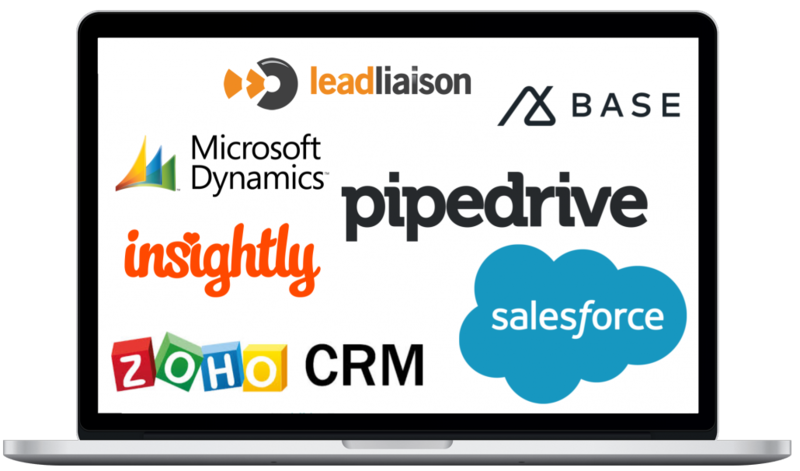 We offer native integration of ProspectVision™ with some of the most popular CRMs including Zoho CRM, Pipedrive, Insightly, Base CRM, OneFocus, Microsoft Dynamics and Salesforce.com. Export people from the visitor tracking page to any of these CRMs. Use our powerful people search integration to export one person or a group of people into your CRM, pushing person and company data into your CRM with a single button click. Data collected from prospects and customers as they engage with your marketing assets has incredible value. Customers migrating to marketing automation can use social, engagement, and demographic data to have more meaningful discussions with people. Ready to see a live, personalized demo?